Italy’s popular luxury car maker, Maserati is set to open a new showroom in Bangalore. 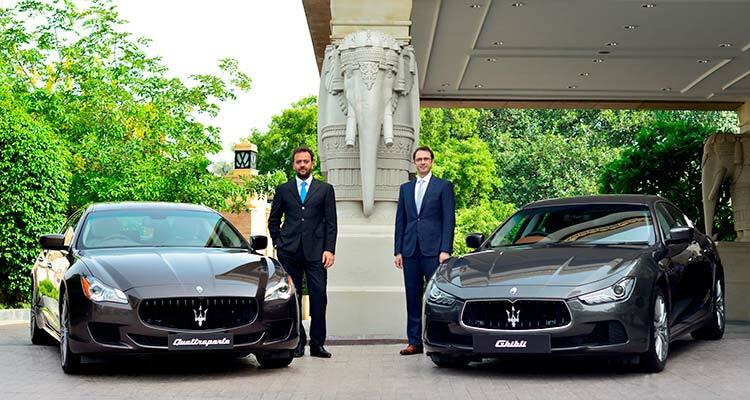 In the month of July, Maserati announced that the company is entering Indian market by opening up dealerships in different cities across India – Delhi, Mumbai and Bangalore. 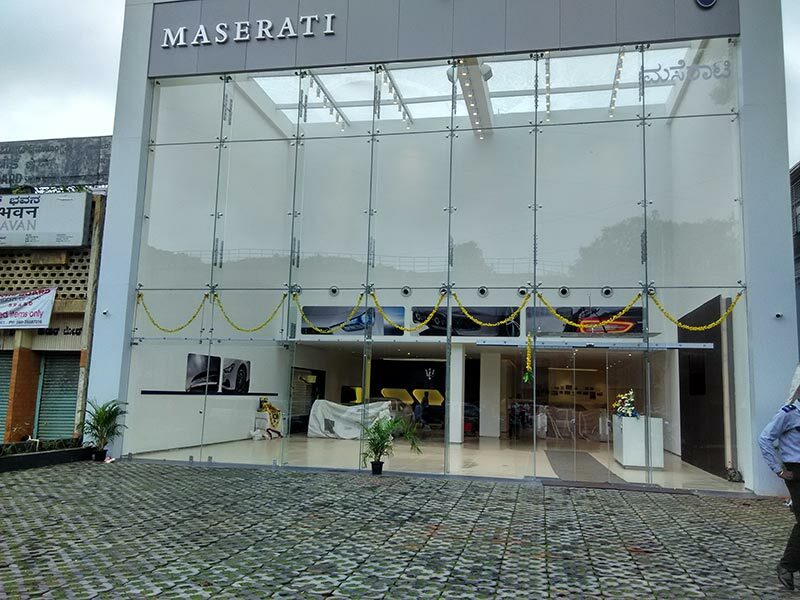 GaadiKey today has captured photo of fully furnished Maserati showroom in Bangalore. 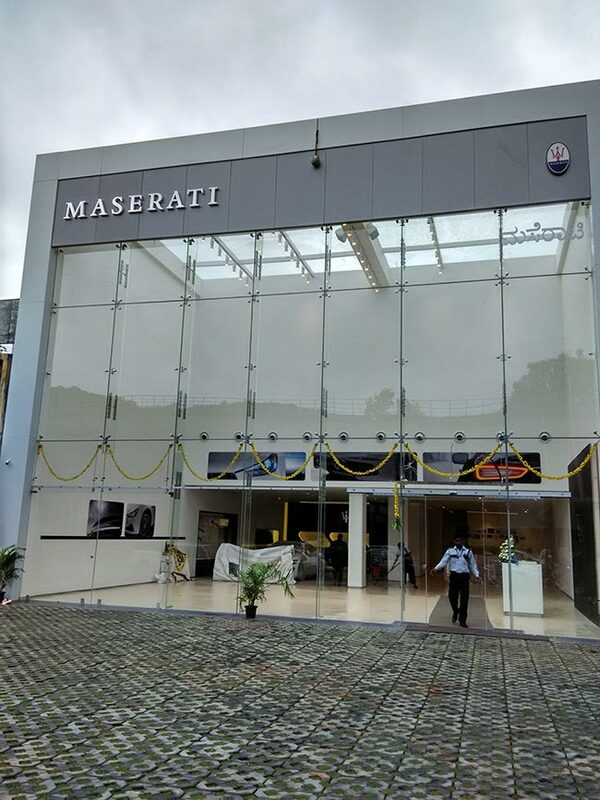 The yet to be inaugurated Maserati showroom is located at the heart of Bangalore City – Mahatma Gandhi Road. The well-situated Maserati showroom, is already getting full attention from its fans, sports/luxury car enthusiasts and on-lookers. Maserati, the company which once owned by Ferrari, now shares the parent company Fiat with Ferrari as well as Alfa Romeo. The cars from Maserati puts emphasis on luxury, and sport. Maserati gets its styling done by Italy’s Pininfarina design studio. Being a part of Fiat Group – (now FCA)– since 2005, Maserati is a prestigious brand in the sector of sports as well as the luxury saloon cars. Maserati has its presence in more than 70 countries, where it continues to bear witness to Italian sophistication, elegance and style around the world. In the July, the company issued a press statement that there will be dedicated Maserati service facilities that are fully in line with Maserati global standards across all its showrooms in India. All showroom and service personnel would be trained by authorized Maserati Trainers. Driving a Maserati is like wearing a tailor-made suit in a world of uniforms. Our re-entry into the Indian market is a commitment to our customers as there is a definitive demand for exclusive luxury products, including cars, in the market. By entering India, and other new markets around the world, we are able to grow by expansion. In the year 2014, Italian Car maker, Maserati has sold 36,500 car units and has also added new products to its portfolio. Maesrati’s GranTurismo and GranCabrio were joined by the 6th generation of the Quattroporte and the new Ghibli – Maserati’s first ever 4-door sports executive sedan in the E-segment. Currently, all the Maserati models are being produced in Maserati’s native Italy.